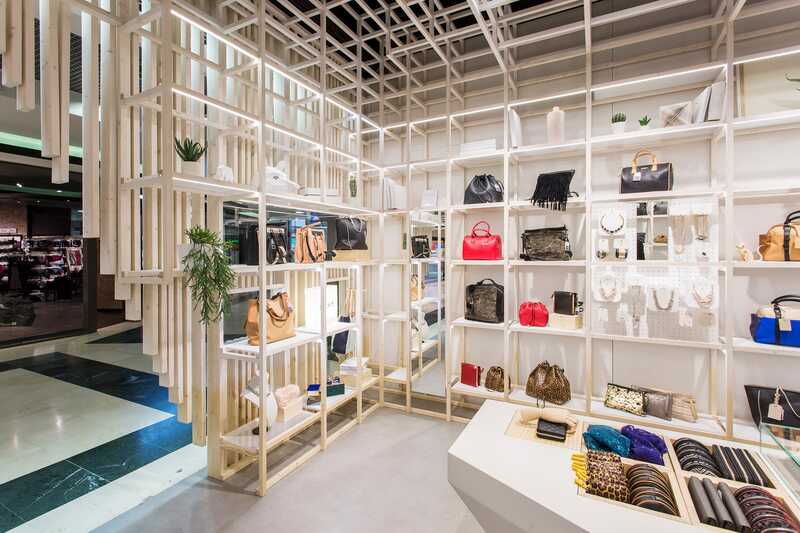 deardesign developed Mynt’s flagship store concept, a fashion and accessories brand, located in a shopping center of Barcelona. The concept is based on a tridimensional grid which creates a visually permeable volume, commanding the space whilst generating niches where to display the product. The elements of the structure grow progressively inspired by the recurrence relation of the Fibbonacci sequence suggesting an open and continuous expansion of space. 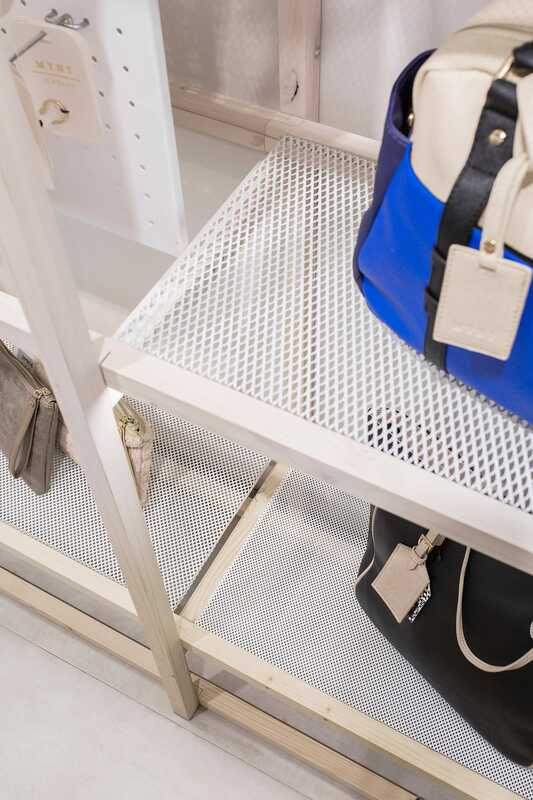 The grid has a dedicated exhibition place for each item, and also grants the versatility of the showroom, so the display elements can be rearranged with the arrival of new products. Lighting works as a compositional element in order to emphasise the rhythm of the grid with a mirror on the celling which enlarges the space optically. As we approach, the façade gets gradually inside of the store, creating a variety of different perspective views and generating diverse experiences in every spot, amplifying the effectivity of exhibition meters.